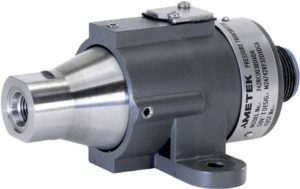 The 742R Pressure Transducer has been specially designed to meet the needs of military and/or marine applications and conforms to military specification MIL-T-24742 (SH). 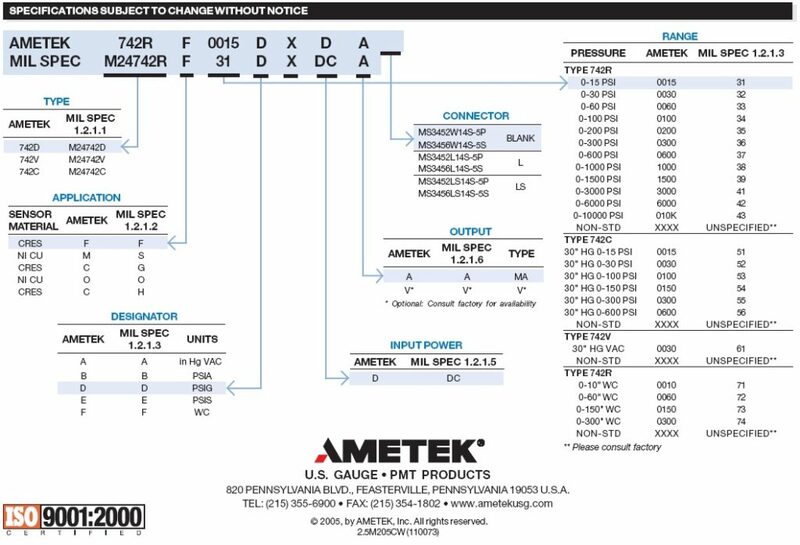 The 742R accurately measures pressures and transmits a fully adjustable 4 to 20 mA or 0-5 VDC output signal for remote display, recording, or control. The 742R is available in gauge, compound, vacuum and absolute ranges from 30”Hg vacuum to 0-10,000 psi. 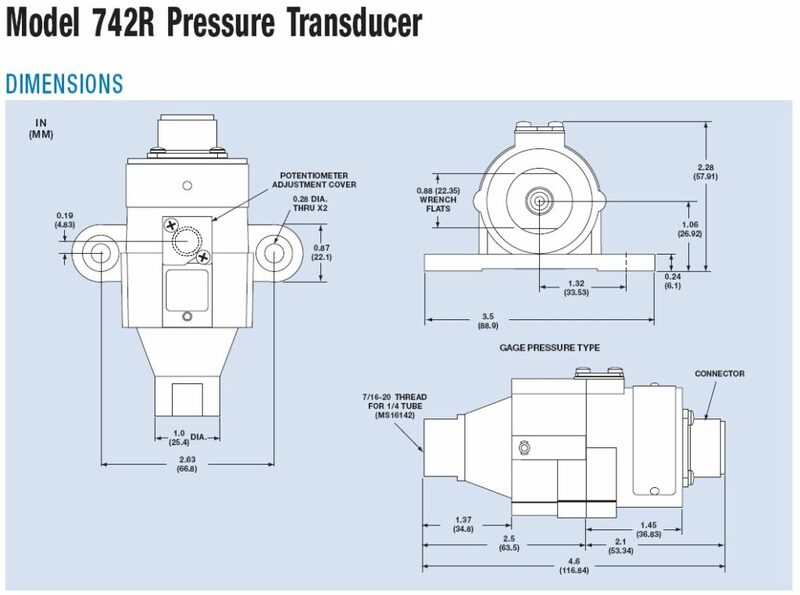 The 742R transducer is directly interchangeable with existing pressure transducers designed to MIL-T-24742 (SH). The mounting is designed to match the footprint of existing transducers for quick and easy installation.